Nothing equals to the impact force of hydraulic percussion tools. 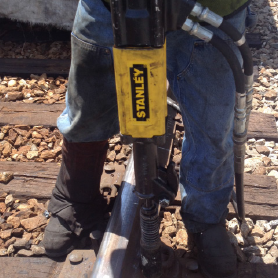 These tools offer the best power-to-weight ratio, higher blow energy, and lower noise levels. 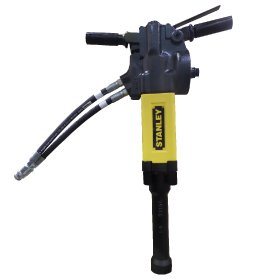 The internal components are continually bathed in hydraulic oil, providing long tool life with minimal maintenance. 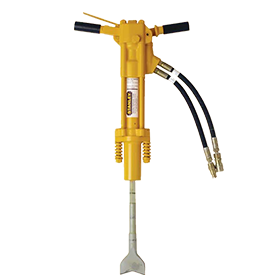 Since the hydraulic system is totally enclosed, there is no tool exhaust or oil atomization. Versatility, lightweight and powerful hand-held tool presents countless MOW solutions. 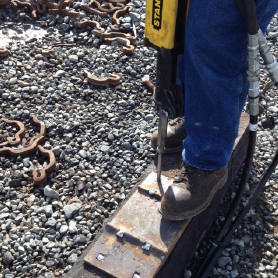 Ease of use is maintained with the anti-vibration handles to absorb the impact energy from the tool during operation. Control valve features a feathering on-off for precise control of the output energy. 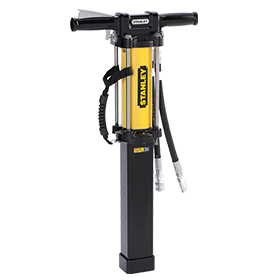 Tool operation is designed for light to medium duty applications. 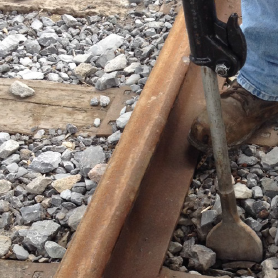 Water-resistant tool provides more flexibility in all weather conditions. 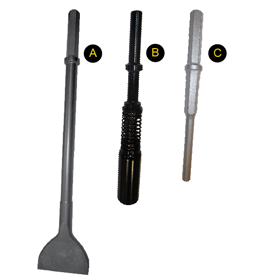 Bit Locking System retains the tool bit from loosening or detaching from the tool during operation. Leg Guard provides greater control and comfort. Cold weather operation, hydraulics will not freeze up in cold conditions. 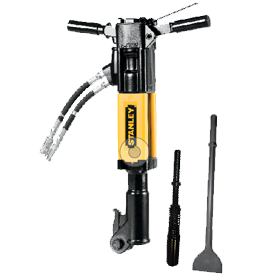 No exhaust, hydraulic percussion tools are a closed circuit system, improving the work condition and comfort.